Massanutten ski resort is located in the Shenandoah Valley of Virginia, 20 miles from downtown Harrisonburg. The four-season Virginia resort provides visitors spectacular views of the Blue Ridge Mountains and surrounding valley. Skiers and riders have access to 1,100 vertical feet of drop and two well maintained terrain parks. The mountain’s 14 runs are serviced by eight lifts. The resort’s 70 skiable acres are home to wide groomed trails, a dedicated learner’s area and night skiing. The resort offers everything from snow tubing and ice-skating during the winter, to golf, mountain biking and an indoor waterpark during the summer. Massanutten offers multiple lodging options and numerous ski chalets located on and around the mountain. The Shenandoah Valley Regional Airport is located within a 30-minute drive of Massanutten. 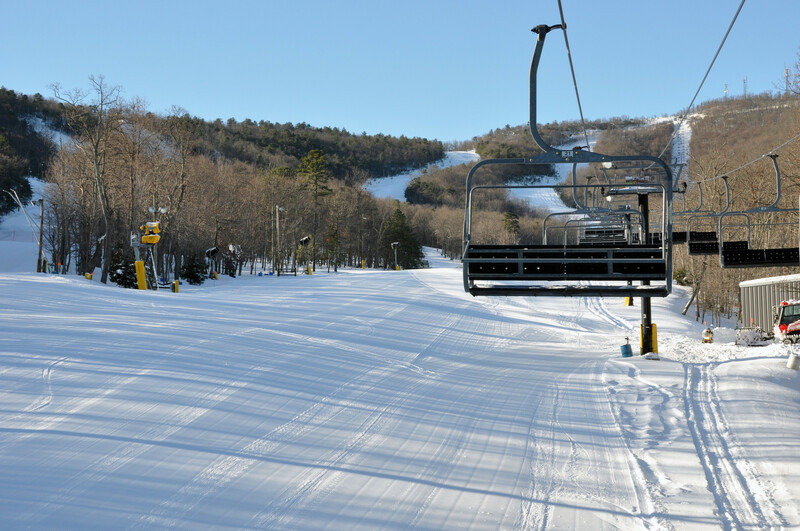 Massanutten Resort has terrain suitable for all ability types form the beginner to the advanced skier or snowboarder. The ski area features 1,100 feet of vertical feet with beginner, intermediate and advanced trails. Beginners are serviced by their own learner’s area and lifts. From the summit, advanced riders will find steep lines that will get the heart pumping and legs burning. Massanutten Resort is a year-round destination that offers an award-winning indoor/outdoor water park, two golf courses, two recreation centers, spas, zip-lines and an ice skating rink.